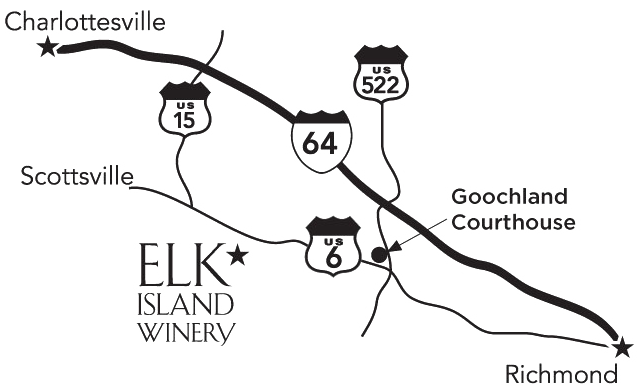 We are on Route 6, also known as River Road West, 13 miles west of Goochland Courthouse and 10 miles east of the intersection of Route 15 and 6. Open Throughout the Year 12PM – 6PM Saturday and Sunday. Our wine parlor is open every weekend, Saturday and Sunday – Noon to 6 pm. Enjoy the large deck and screened porch. Snacks are available or please bring your own picnic. We are open other times by appointment.